Are you in a hurry to get ready for bikini season? The tabloids are filled with tales of celebs who lost 10 pounds in 10 days, thanks to diets like the Master Cleanse or yoga retreats. Shows like “The Biggest Loser” reinforce this idea that it’s possible to shed pounds fast when you want to. So first of all, is it really possible to lose weight this quickly? Yes – but you should think carefully about doing so because there are a few risks to consider. To begin with, the problem with these shows or magazine stories is that they only show the short term results. They don’t show what the same person looks like a year later when all the weight comes piling back on. Whether it’s through crash dieting or medical supplements claiming to boost metabolism, there are a few risks to think about. Losing a large amount of weight in a short time puts the body through a lot of stress, and can lead to health problems. For example, gallstones occur in up to ¼ of people who lose a large amount of weight in a period of only a few weeks or months. If you’re following a severely restricted crash diet, you may suffer from an electrolyte imbalance, dehydration, or even malnutrition. This can make it difficult to function normally, and in the worst case scenario could require hospitalization. Other side effects of crash dieting can include headaches, fatigue, dizziness, problems with digestion, and menstrual irregularities. You could lose muscle tone along with your fat, particularly if you’re following a diet that lacks protein. On a cosmetic level, rapid weight loss can cause your hair to fall out and you could be left with loose folds of skin. These more serious side effects are unlikely after only a couple of days of following a juice fast, but the longer you go the more likely you are to experience some troubles. Of course if you’re severely obese, this can also take a real toll on your health. As a result, some doctors will prescribe a very low-calorie diet to get ready for a treatment such as a weight loss surgery. These can carry some of the same risks mentioned above, but because they’re completed under medical supervision and are nutritionally balanced they can be a bit safer. It’s not always those who are morbidly obese who want to lose weight, however. If you have been dieting sensibly and have yet to lose those last few pounds or have stubborn pockets of fat, you may also be considering a surgical option such as liposuction. 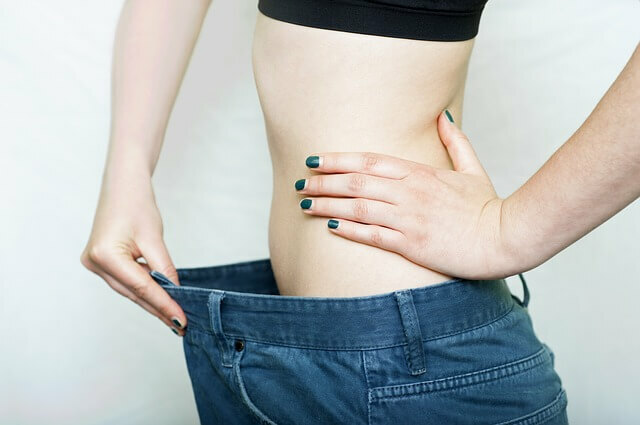 You can look here for advice from one of the top plastic surgeons in Sydney, Dr Jeremy Hunt, to determine whether a surgical option would be a safe and effective way to drop a few pounds. For sustainable weight loss that’s more likely to stick, be sure to take plenty of vitamins and include adequate protein in your diet. It’s not recommended for women to dip below 1200 calories a day unless under medical supervision or for a short-term fast. Small but significant lifestyle changes are easier to maintain in the long run, ensuring that you’ll change your shape for good!